Irrigation &Public Health Minister Vidya Stokes, MPP & Power Minister Sujan Singh Pathania and Forest Minister Thakur Singh Bharmauri have ridiculed the statement of former Chief Minister Prem Kumar Dhumal in which he has claimed that present Congress government in the State was going to last for few days only. In their joint press statement, cabinet ministers said that this statement was not only a result of his despotic thinking and also the insult to the people of the State who gave mandate in favour of Congress party. The Statement of Dhumal clearly indicates that BJP had no faith in democracy and were falsely propagating, they alleged. The Ministers said that nefarious design of Dhumal was never going to materialise. They said that the ‘Mission Repeat” of Dhumal turned into “Mission Delete” in Himachal Pradesh and now BJP was going to suffer humiliating defeat in the coming Lok Sabha elections. Congress leaders also take a quip at the BJP top leadership and advised them to manage party before thinking for leading the country. 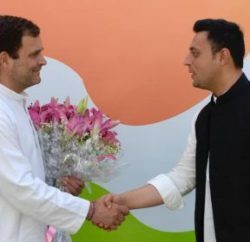 Congress said that the BJP leaders were habitual of unleashing false propaganda and also accused them for misleading the people over the reduced ration quota from 35 kgs to 5 kgs. Congress leaders said that these allegations are far away from facts. They added that the Congress government had started historic Rajiv Gandhi Ann Yojana in the State under which every beneficiary would be given rice at the rate of Rs. 2 per kgs and wheat at the rate of Rs. 3 per kgs. (total five kilograms) per month. The Antodaya and BPL families would continue to get 35 kgs of food grains per month as per past practice. Besides, a provision of Rs. 175 crore had been made by the State government to provide three pulses, edible oil and salt every month on subsidised rates to all the families under State Food Subsidy Scheme. Besides, rice and wheat were also being provided to the consumers under Public Distribution System. The Ministers advised Dhumal for not worry as the State government know well how to take due benefits for the State. Congress leaders’ claim that Congress led state government helped to get Supreme Court decision in favour of state in BBMB case. They said that previous BJP government in the State made exorbitant unplanned expenditures during election year to remain in the power pushing the State in heavy debt. Congress leaders added that the BJP government took loans to the tune of Rs. 9247 crore and left behind the shattering economy which was now being brought back on an even keel by the present government. They said the CIS had recently been extended till 31 March, 2017 for the State with a view to invite more entrepreneurs for investment in the State. The State government was making every effort to restore the industrial package for Himachal Pradesh. 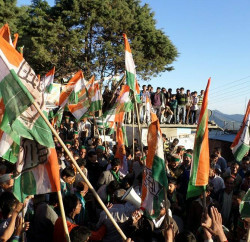 Congress leaders said that the State government is committed for the welfare of people and development of the State. While giving their viewpoint over the recent hike in the bus fare, they said that it was necessary to curtail the increasing loses and increasing diesel prices. They said that Dhumal must not forget that his government had also made increase in bus fares in 2010. 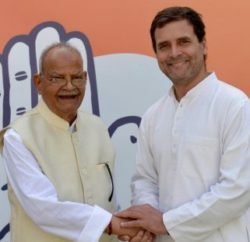 Congress leaders, in their press statement, advised Dhumal not to play with the rights of the State and desist from misleading the people for sake of his political motives.